Now playing weekly at Touche Rooftop Lounge! 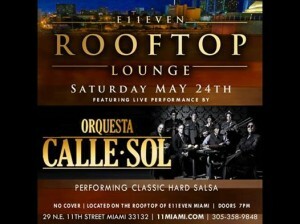 What an honor to be house band at Miami’s hottest new Lounge & Restaurant! 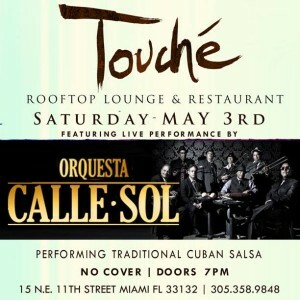 Orquesta Calle Sol is playing every Saturday night at Touche Rooftop Lounge – comfy couches, open-air rooftop views of downtown Miami and the Freedom Tower, and live salsa! I’m so happy to be part of this experience, playing with amazing musicians and the heavy, salsa dura from the 70’s and 80’s!